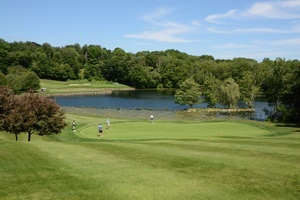 Make plans to attend the 19th Annual SilverSource Charity Golf Outing on Monday, June 10, 2019 at beautiful Rockrimmon Country Club in Stamford, CT. Proceeds from the event will support the SilverSource Elderly Housing Stability Program, elder eviction protection and the Ride To Wellness Medical Transportation Program. A favorite community tradition for nearly two decades, this great day of golf and networking begins with a pre-tournament brunch, followed by a shotgun start, awards, prizes, cocktail reception, dinner, silent auction and more. The Robert Trent Jones designed course is a hidden gem that is challenging for golfers of all levels. With community support, SilverSource provides emergency assistance to prevent elder evictions and homelessness. The SilverSource Charity Golf Outing raises funds to support these efforts as well as the Ride to Wellness Transportation Program, providing vital transportation for seniors in our community to attend their medical and dental appointments.